You saw the trailer. Now, it's time to see the film! Blu and Jewel are back for an all new adventure in Rio 2! The entire cast of the animated smash RIO returns, and they are joined by a new flock of top actors and musical talents. Rich with grandeur, character, color and music, RIO 2 finds Jewel (Anne Hathaway), Blu (Jesse Eisenberg) and their three kids leaving their domesticated life in that magical city for a journey to the Amazon. They encounter a menagerie of characters who are born to be wild, voiced by Oscar nominee Andy Garcia, Oscar/Emmy/Tony-winner Rita Moreno, Grammy winner Bruno Mars, and Tony winner Kristin Chenoweth. Starring the voices of Anne Hathaway, Jesse Eisenberg, Will i am, Jemaine Clement, Tracy Morgan, Leslie Mann, George Lopez, Rodrigo Santoro, Andy Garcia, Rita Moreno, Natalie Morales, Kristin Chenoweth, and Jamie Foxx. In celebration of a film that's on the top of our wishlist, we are having a fun Rio 2 giveaway for you and your family. But first, check out this clip, with some behind the scenes from the stars! 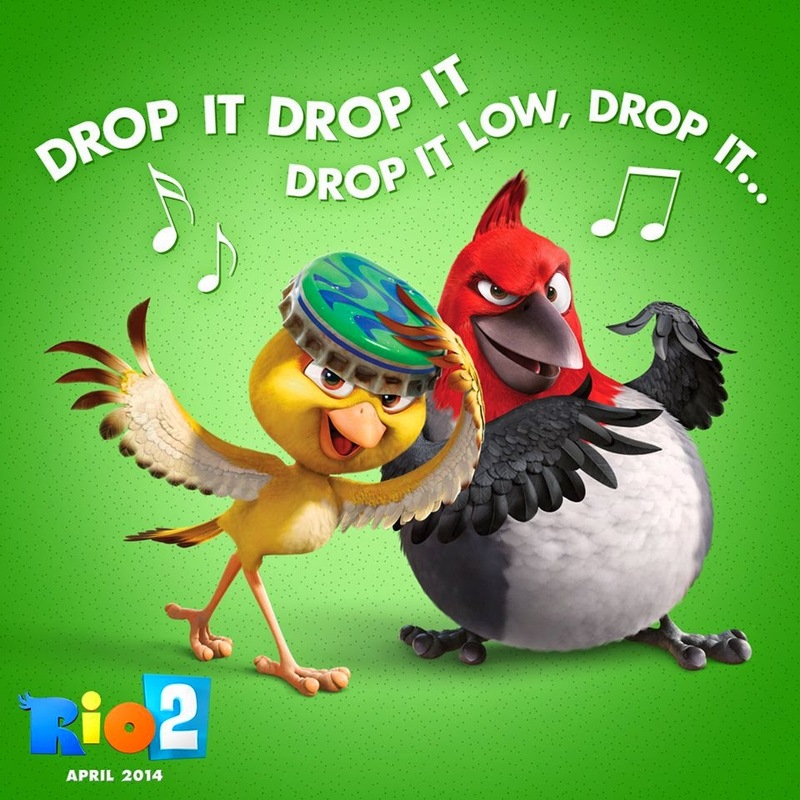 RIO 2 hits theaters April 11! To learn more, visit the Official Website, Like on Facebook, Follow on Twitter, YouTube, Google+! To be entered to win, just comment on this post with why you want to see it. You have until April 11th at 11:59 pm CST to get your entries in (one per person, please.) Giveaway is open to U.S. residents age 18+. Winner will be randomly chosen. *Prizing Courtesy of 20th Century Fox. Opinions are my own.